Dr Jengo's World: Another AC IV Figurine revealed! Another AC IV figure from their UbiCollectibles line has been revealed. Wasn't expecting this at all! 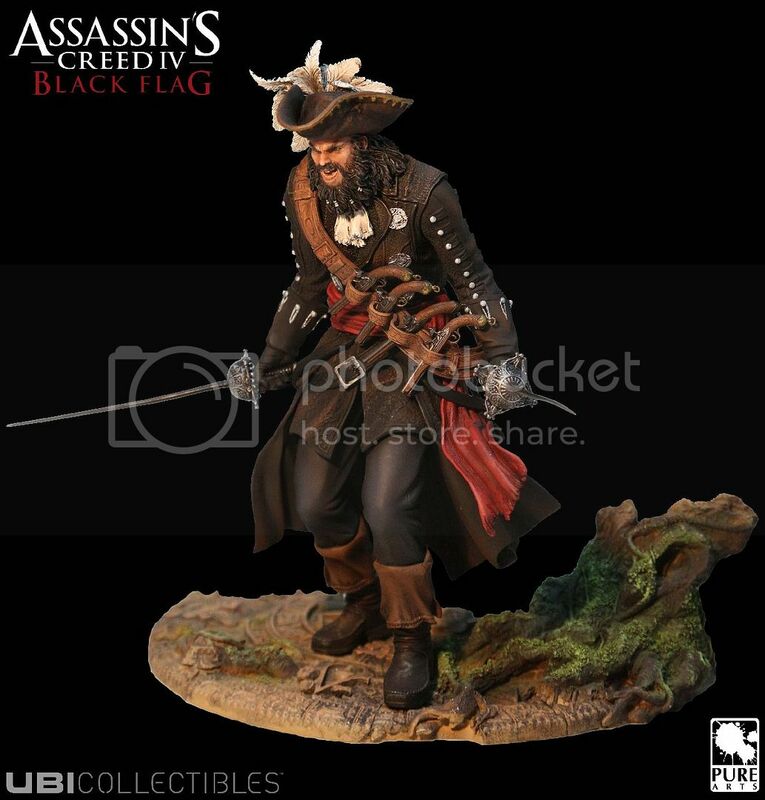 This one is of Captain Blackbeard who will also be in featuring in Assassin's Creed IV: Black Flags. Will need to see more close-up pics but it looks fantastic. Very detailed and also strengthens my argument that the UbiCollectibles line is one of the best video-game figure/statue lines out there. At this scale and price, no one else comes close in terms of video-game collectibles. As much I didn't want to collect figures of characters who aren't the protagonists, I might be tempted to get this one. Based on the poses of the Edward Kenway Figurine and this one, I already have an idea on how I might want to display this. For that to happen, I will need to make a little wish. *makes a wish*. I'll let you guys what that is all about when my wish comes true..
We also have a fantastic new trailer on how Assassin's Creed IV is going to continue messing with our history lessons..